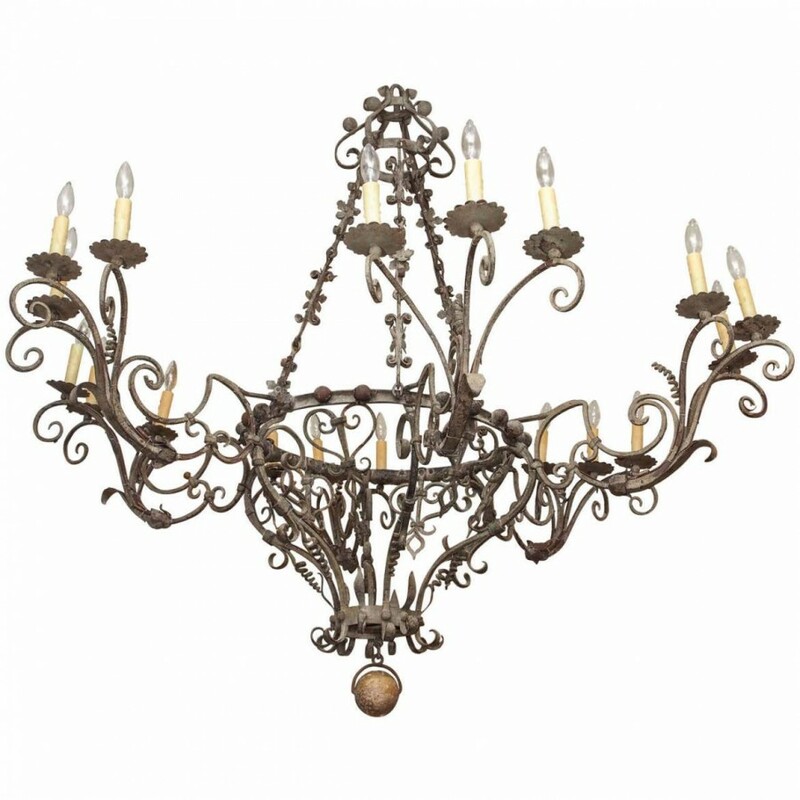 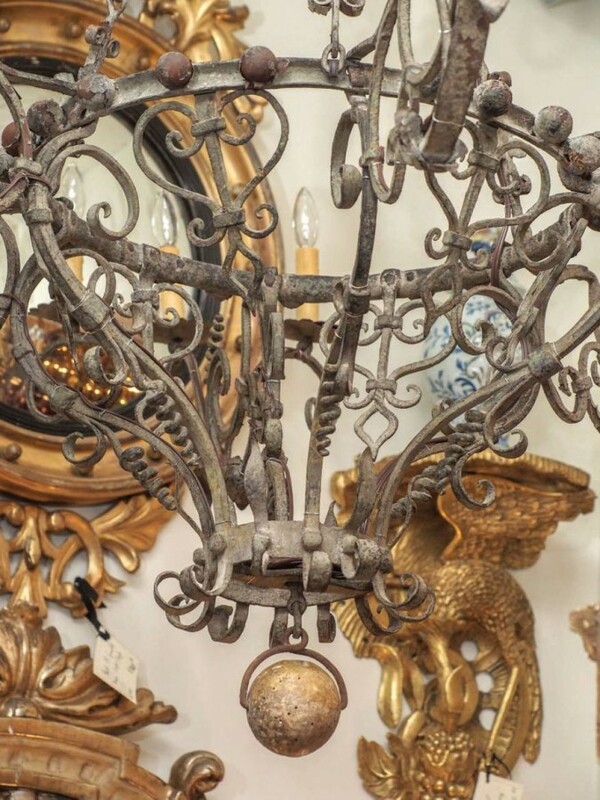 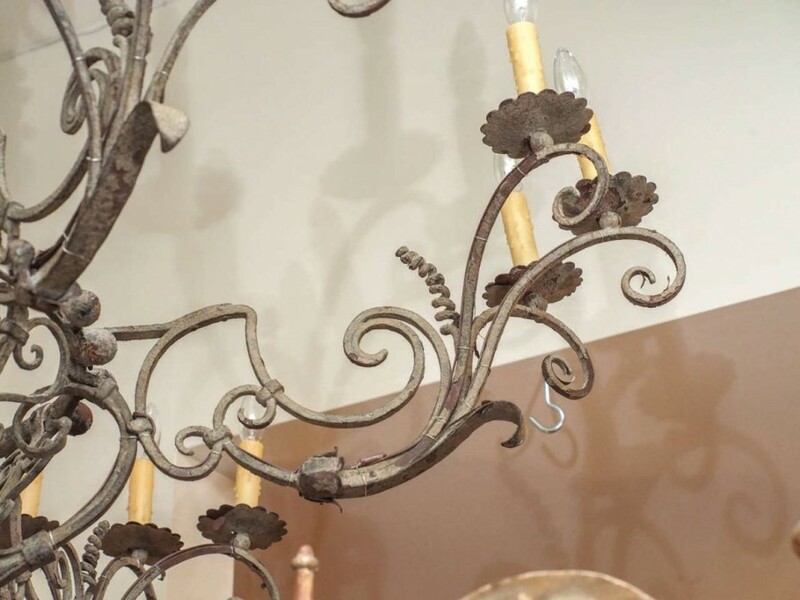 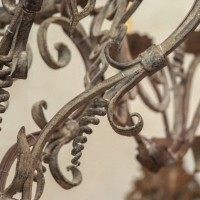 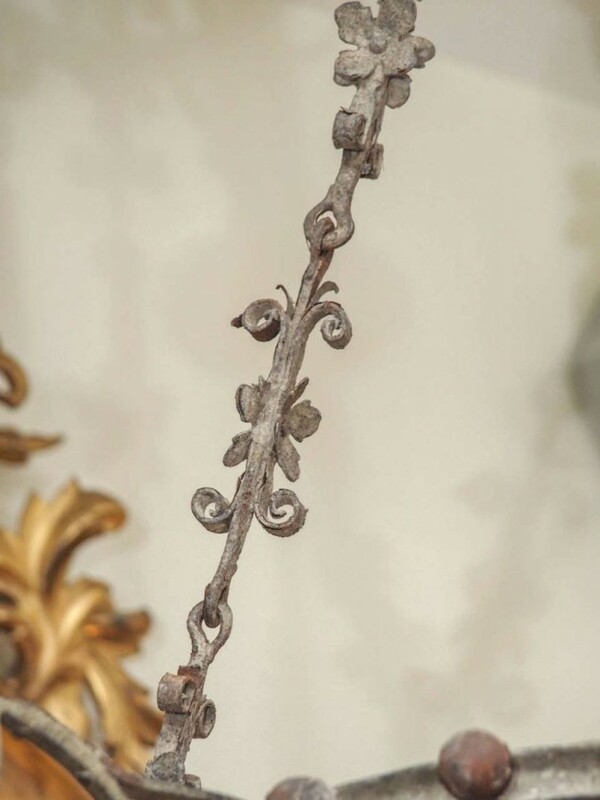 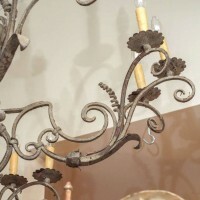 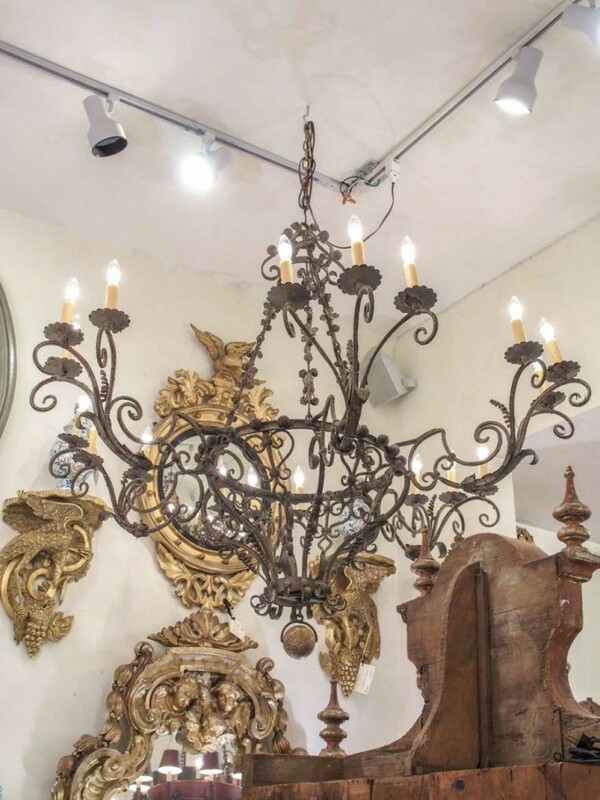 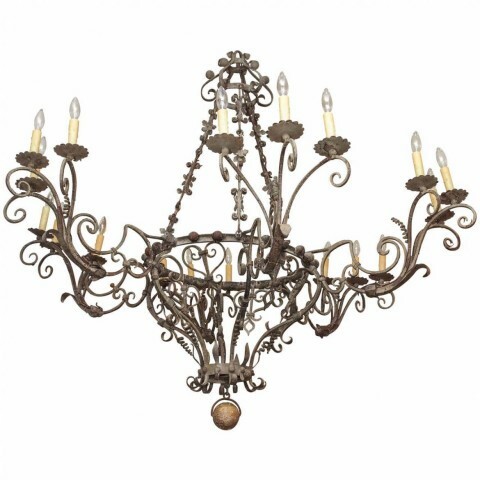 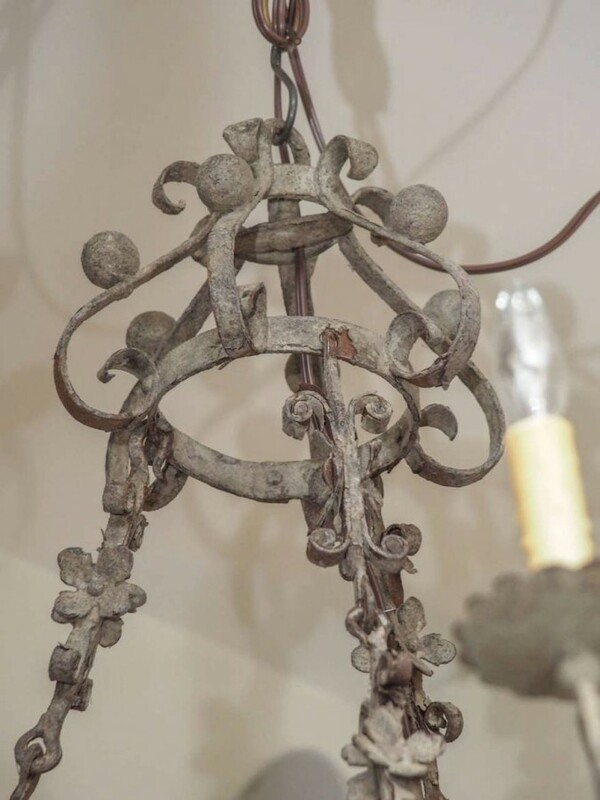 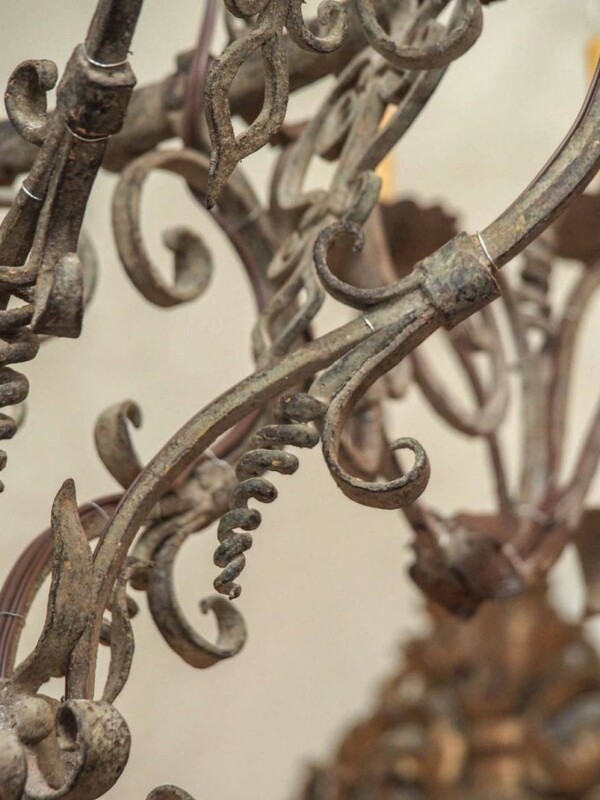 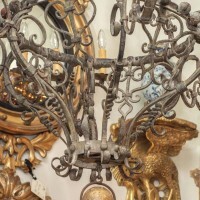 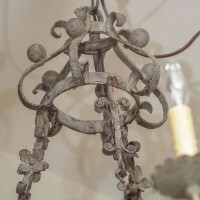 Exceptional Italian hand-wrought iron chandelier from the 18th century with eighteen lights. 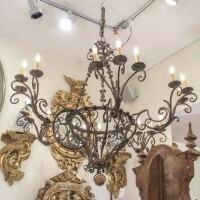 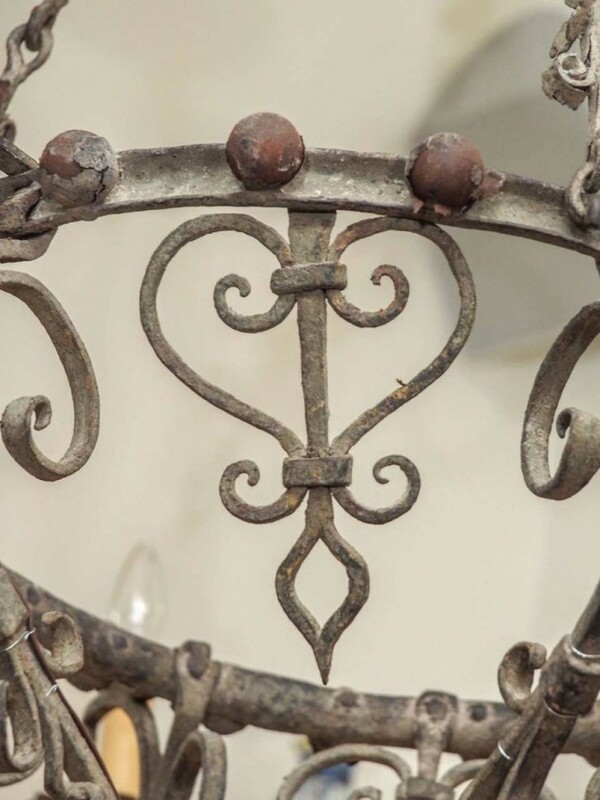 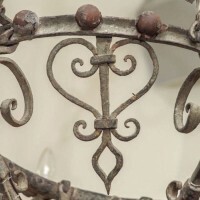 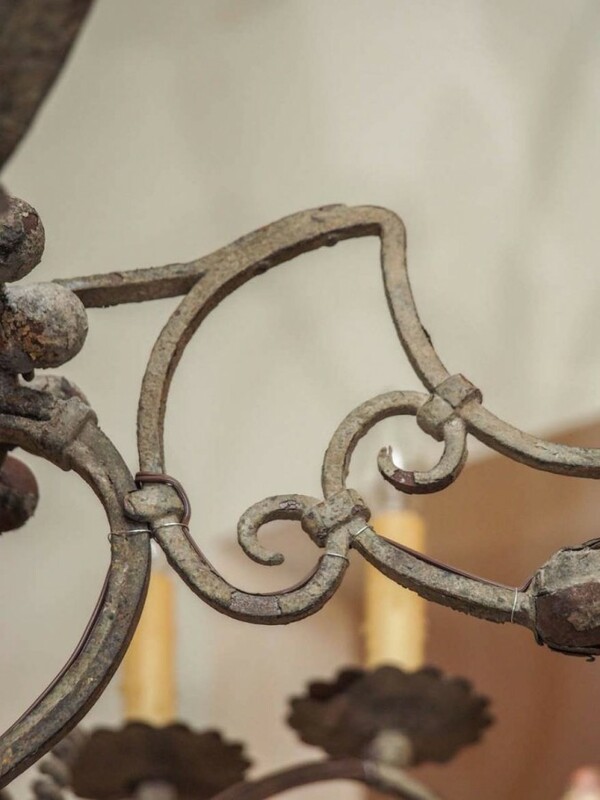 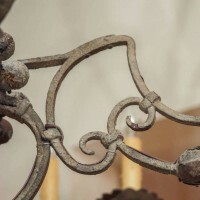 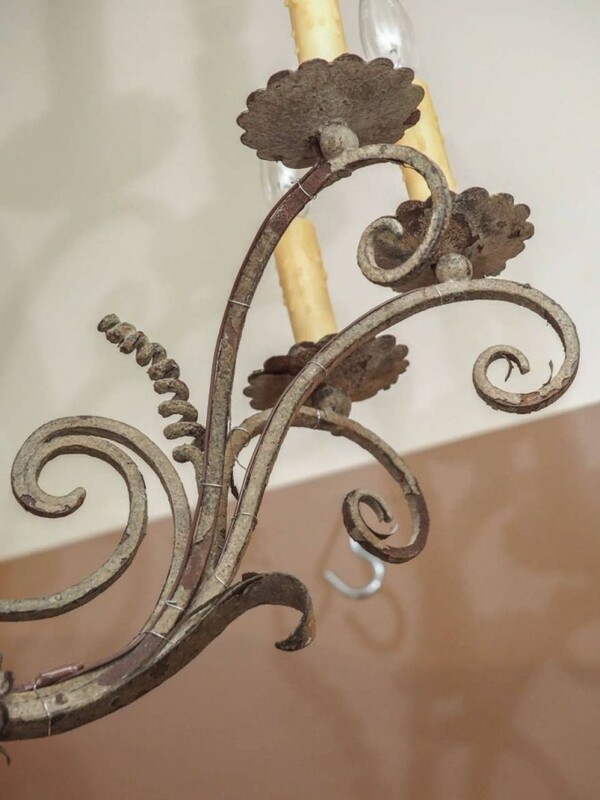 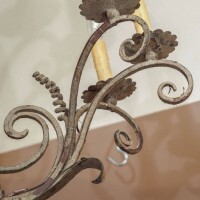 The entire frame is hand-wrought iron with a water gilt ball finial. 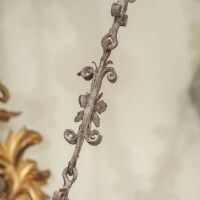 Italy, Late 18th/Early 19th c.